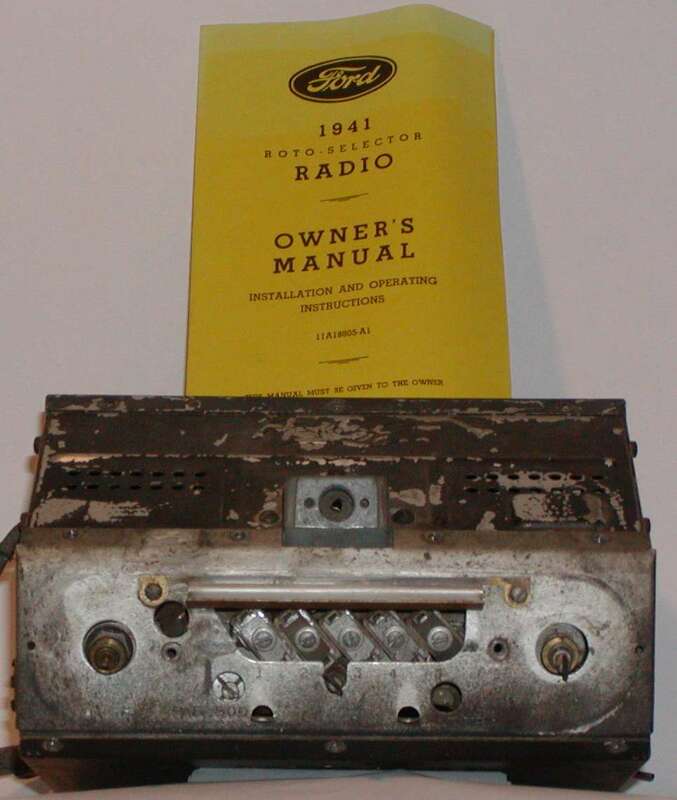 Pre WW II (1941) Ford radio made by Zenith with the optional remote station selector. Note the presets are screwdriver adjusted. The dial face has been removed, as the owner had to do, to change his favorite stations. Fortunately there were not as many stations to choose from then, as there are today! Tuning the whole band manually was as it is today with the right hand shaft. 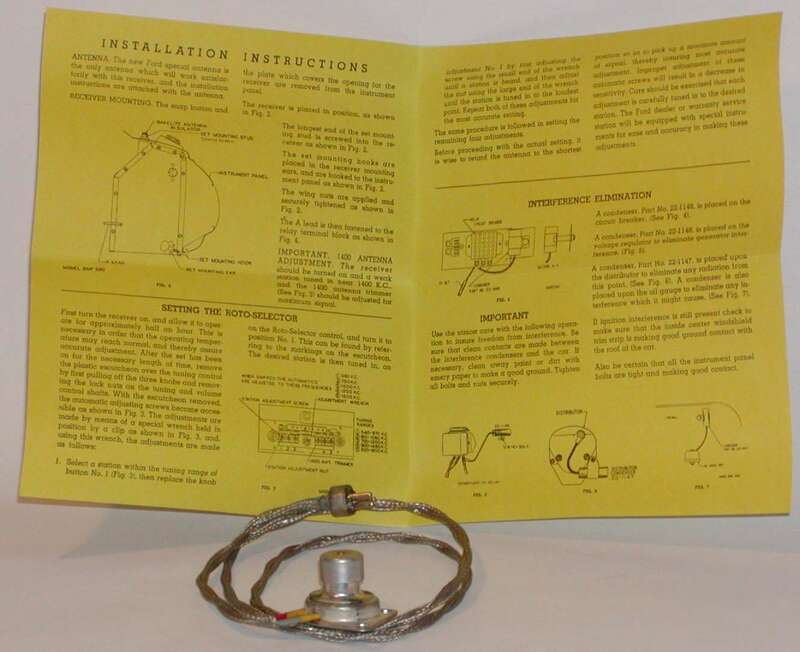 This is the owner's manual and the remote station selector which Zenith called the Roto-Selector. 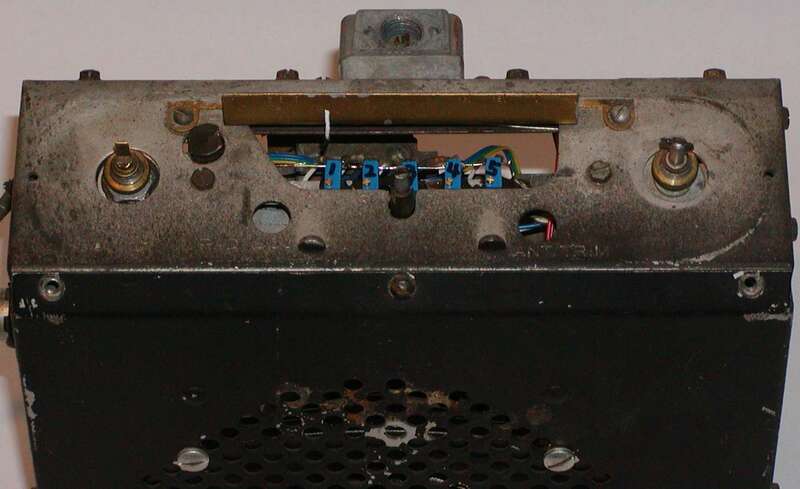 The switch is similar to the headlight dimmer switch used in later years and was located in about the same location. The driver used his foot to step through the presets. 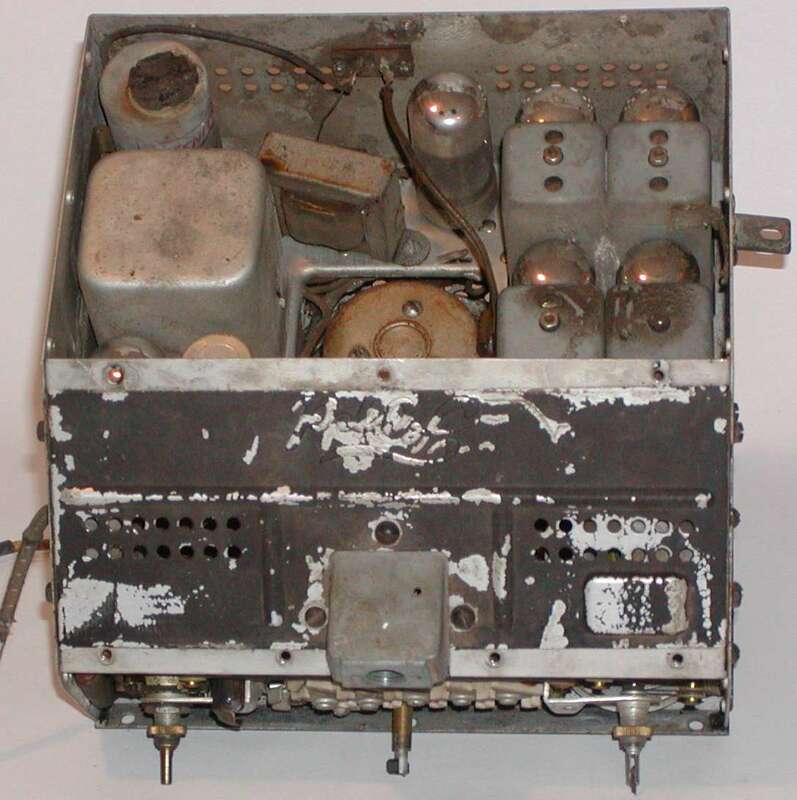 The original 'innards' of the radio. The tubes are the loctal type which predates octal and miniature tubes of the 50's and 60's. Note the speaker placement on the bottom. You can see it's magnet in the middle. The new presets can be seen in the same location as the original. They are the blue rectangles. The owner sill needs a screwdriver to adjust them as that could not be changed. But they can now select either an AM or FM station. The owner wanted to keep his car as a 6 volt system so a 6 to 12 volt inverter was added. It can be seen in the lower right corner. 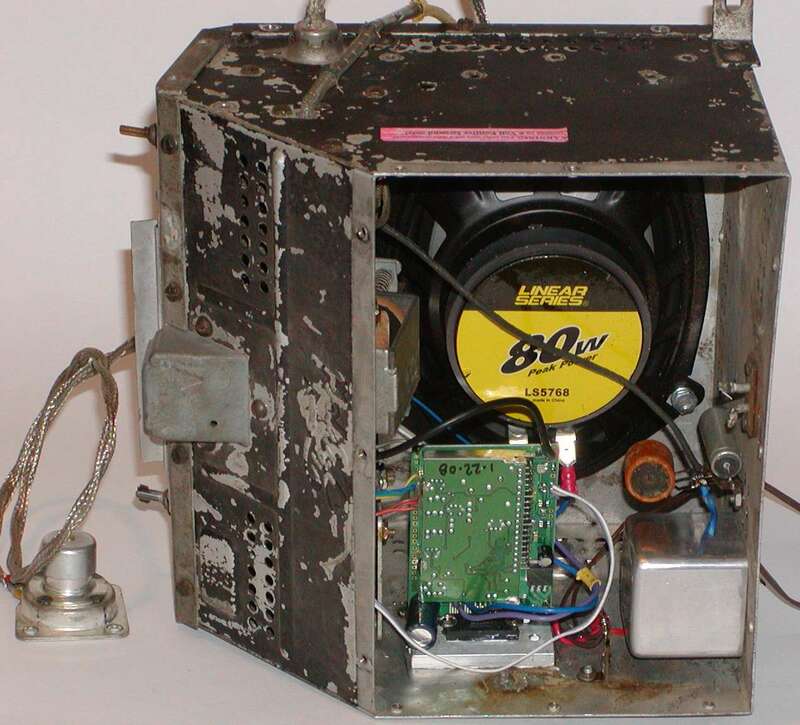 The new 80 watt speaker is in the background with the new AM/FM conversion electronics located in the bottom middle of the radio, fully integrated.